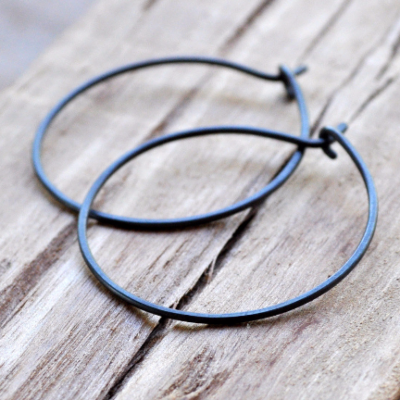 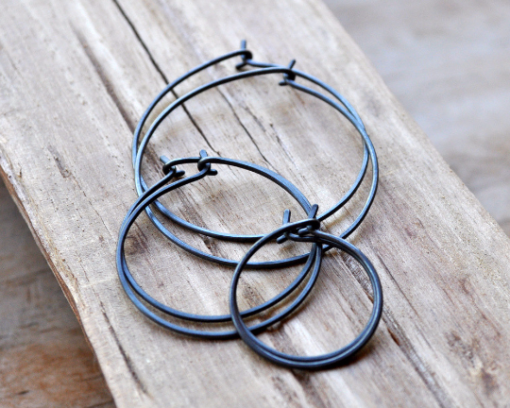 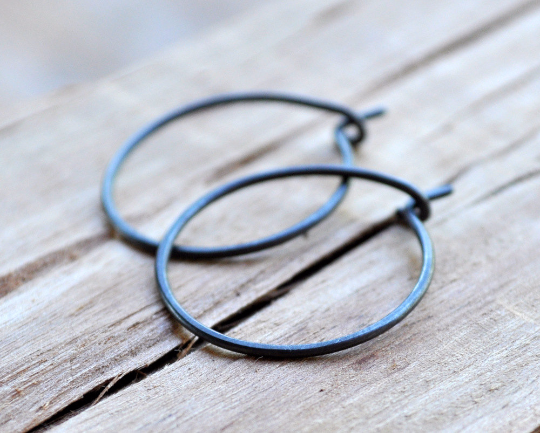 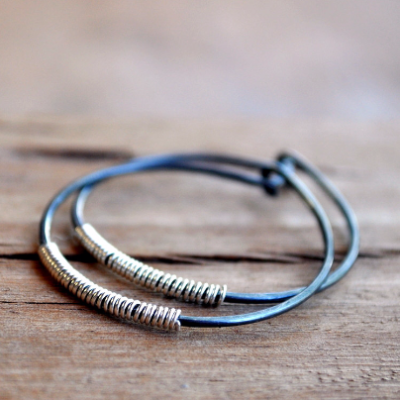 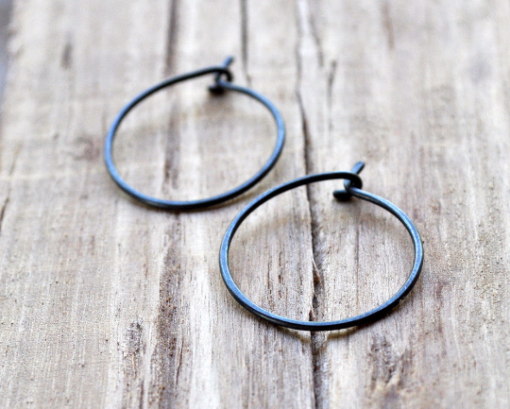 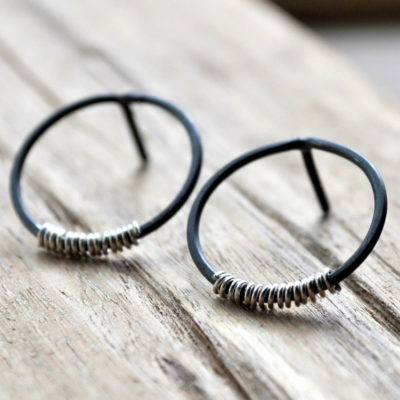 These classic small hoop earrings are handcrafted from recycled sterling silver, then oxidized to give them a modern charcoal grey look. 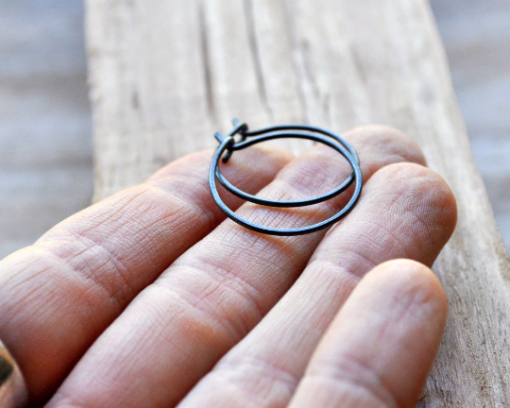 These are the Small version – they measure just under 1 inch/2.5 cm in diameter. 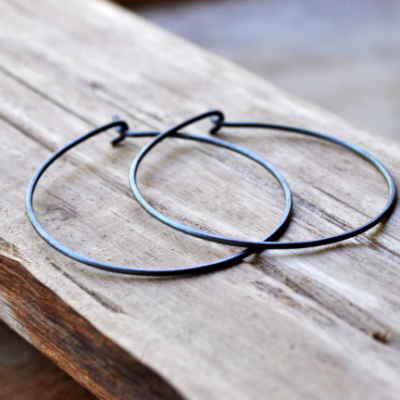 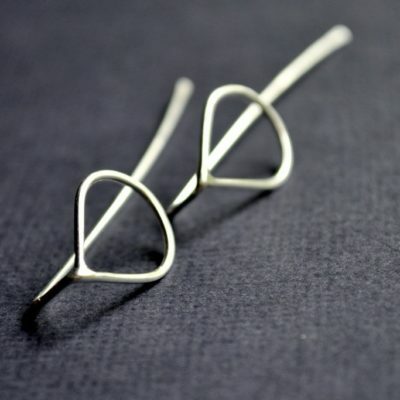 I also make Medium and Large versions of these hoops (as well as all three sizes in regular silver). 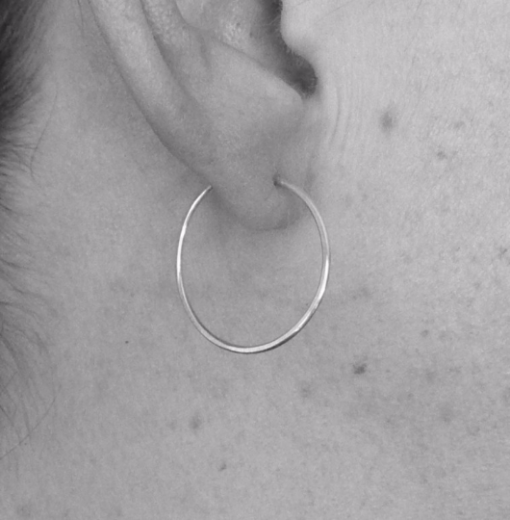 The last photo shows the different sizes in comparison.